Global stock market value analysis February – March 2008. Global stock market values can help create good multi currency investments. Global stock market value analysis is one of the best ways to protect wealth. The best way to create long term global stock market investment profits is to get good value in the global shares you buy. One way we keep track of global stock market value is to follow the analysis of our friend, Michael Keppler. Michael continually researches global stock markets and compares their value based on current book to price, cash flow to price, earnings to price, average dividend yield, return on equity and cash flow return. He compares each global stock market’s history. From this he develops his Good Value Global Stock Market Value Strategy. His analysis is rational, mathematical and does not worry about short ups and downs. In my opinion, he is one of the best market statisticians in the world. Numerous very large fund managers use his global stock market value analysis to manage funds. In January, his company, Keppler Asset Management, was, for the third consecutive year, named Best Fund Company in the Fund Specialists’ category by Capital, a leading German business magazine. Keppler’s firm was one of only six out of 100 companies tested that received the highest five-star rating based on an independent evaluation of fund quality, management, and customer service by Feri Rating & Research and Steria Mummert Consulting. Once a month we share Michael’s global stock market value analysis with you. Here is a summary of Keppler’s current comments on recent developments & outlook in global stock markets. Global equities have now declined for four months in a row. After having lost more than 13 % in local currencies from November 2007 through January 2008, the Morgan Stanley Capital International (MSCI) World Total Return Index declined an additional 1.7 % in February. The decline of the global benchmark index was relatively mild in U.S. dollar terms (-0.6 %), however, due to the strong euro the index lost 3 % last month if returns are measured in that currency. Over the last fourteen months, the MSCI World Index declined 5.8 % in local currencies and 13 % in euros. However, due to the 13.1 % decline in the US dollar versus the euro, the MSCI World Index eked out a tiny 0.1 % gain if measured in US dollars. Seven markets advanced and eleven markets declined in February. The best performers (in local currencies) were Norway (+9.5 %), Denmark (+6.2 %) as well as Canada and Sweden (both up 3.1 %). The United States (-3.2 %), Italy (-2.7 %) and Hong Kong (-2.4 %) were the laggards. While all markets were higher over the previous fourteen months last year, this year looks different: only six markets gained and twelve markets declined during the previous fourteen months. Hong Kong (+22 %) leads the pack in the fourteen-month ranking, followed by Canada (+8.4 %) and Singapore (+6.1 %). Belgium (-22.1 %), Austria (-20.5 %) and Japan (-19.6 %) came in last. There are no changes in our performance ratings this month. The Top Value Model Portfolio contains the seven most attractively valued national equity markets of Belgium, France, Germany, Italy, the Netherlands, Spain and the United Kingdom at equal weights. Our ratings suggest that these markets offer the highest expectation of risk-adjusted returns. SELL CANDIDATES (Low Value) Austria , Canada, Denmark, Hong Kong, Singapore, Switzerland , U.S.A.
NEUTRALLY RATED MARKETS Australia , Japan , Norway , Sweden . Jyske Bank is the second largest Danish bank with 450,000 domestic clients, 35,000 international clients, USD 23 Billion in total assets, and a Moody’s rating of AA1. Jyske has over 35 years’ specialization in private banking and Denmark is ranked by Moody’s as one of the safest country in the world to have a bank account in. Jyske Bank uses a good value system as well and their affiliated fund management company has been rated #1 by Morningstar. They use this value system to help us select shares for Multi-Currency Portfolio Educational Tracking Service. This has worked pretty well. However the 2008 portfolios we are now tracking have not been immune from the 2008 turmoil and they have all dropped as well. Several of the leveraged portfolios have dropped dramatically. Until next message, may all you global investments be good. 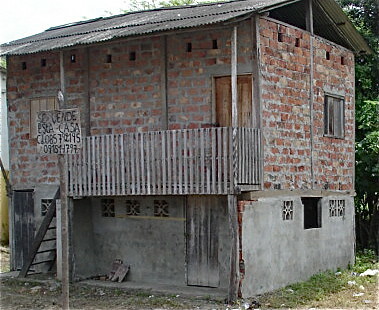 An alternative to global stock market values are Ecuador real estate values. 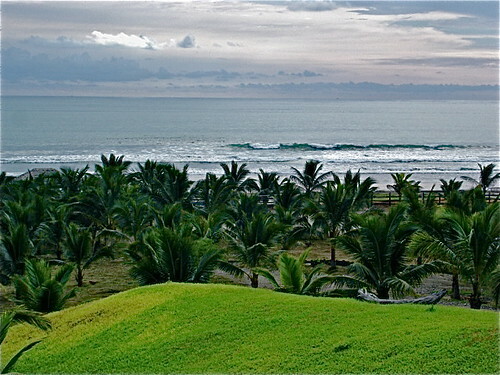 This is why we are conducting Ecuador real estate tours. May we serve you in Ecuador? 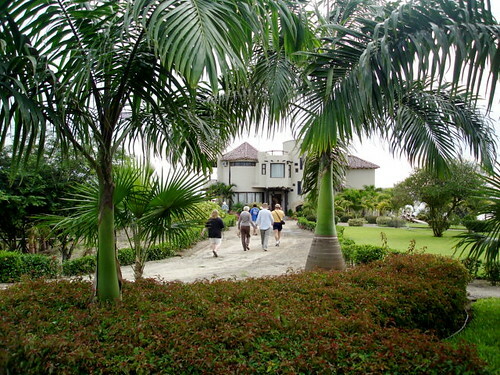 Gain a free report from our latest real estate tours. See our coastal real estate report that looks at property rainging from $9,000 house just off the beach. To this beach mansion on 30 acres. You get free access to this report when you subscribe to Ecuador Living. Once you subscribe, you’ll also have access to our Ecuador Living team and a password so you can enter and communicate in the private Ecuador Living domain. You will also have full access to our support team and our business center services including the ability to communicate with other Ecuador Living subscribers at the EL blog. You are also invited to join one of our upcoming Ecuador courses and or tours.